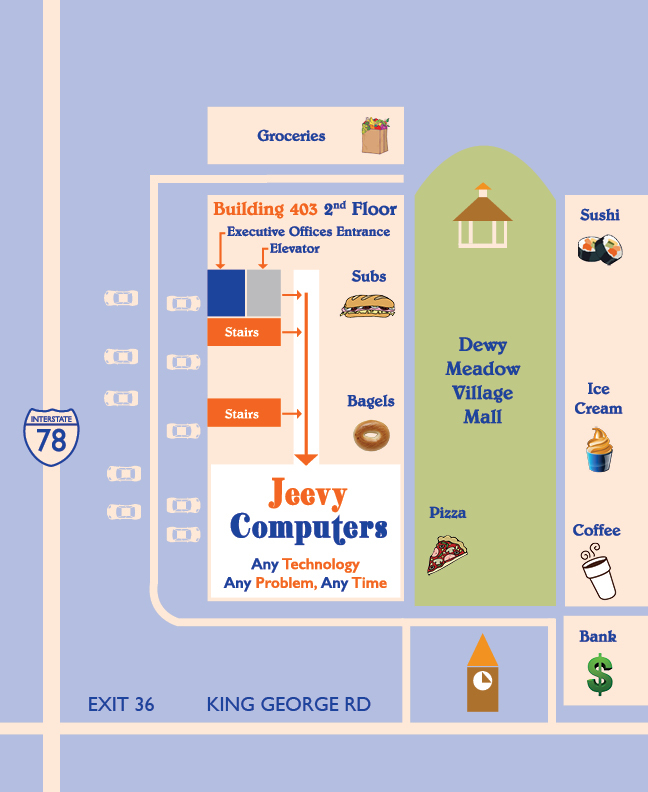 Jeevy Computers is located in Basking Ridge, New Jersey, just North of Route 78 on exit 36. 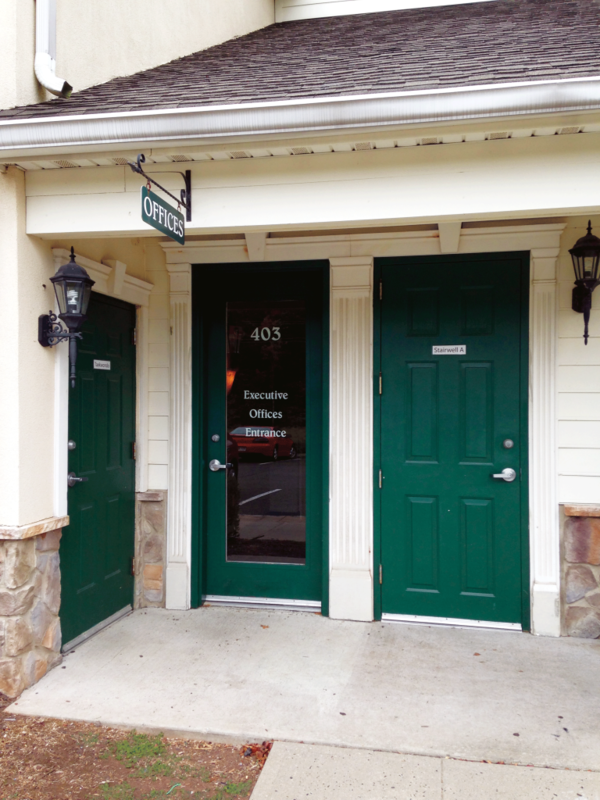 Go to the rear of Building 403 in the Dewy Meadow Village Mall. Enter the door marker “Executive Offices Entrance” in the rear of Building 403. Take the elevator to the 2nd floor and turn right. 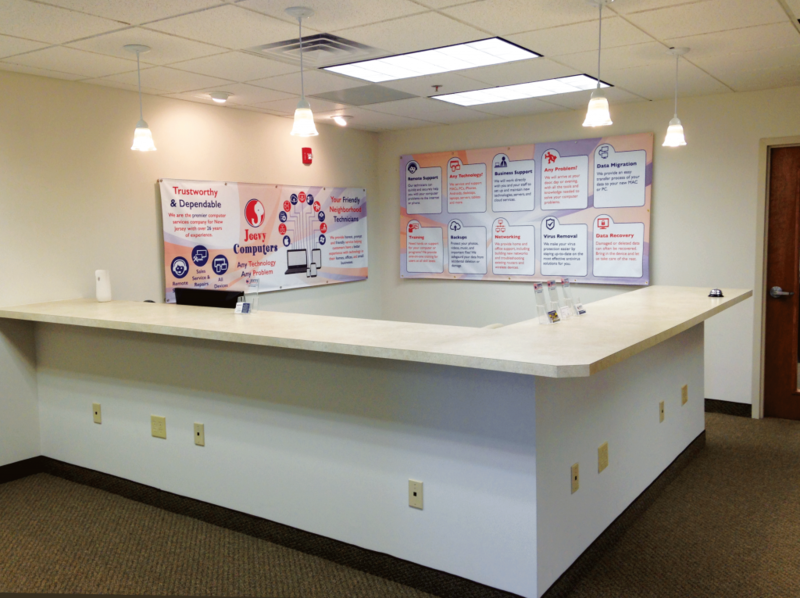 Our office is straight ahead.